Tiny houses are growing more popular, along with other owner-builder projects. These offer a way to take advantage of low land prices while saving large amounts in construction costs. However, such projects also carry heavy liabilities and require various kinds of specialized insurance typically covered by builders and contractors. This includes builder’s risk insurance, also known as "course of construction insurance." It provides protection against losses caused by fire, wind, lightning, vandalism, etc. Builder’s risk insurance also may cover damage or theft of construction tools and materials. It is typically a short-term, relatively inexpensive policy that only covers the period of construction. Builder’s risk insurance is clearly a must for owner-builders, but it is equally important if someone else does the work. Homeowners should make it part of any new construction or major remodeling project — and consider buying the policy themselves. Builder’s risk insurance is usually required for construction loans, and most contractors require a builder’s risk insurance policy on their projects. However, either the property owner or the contractor can obtain the policy. 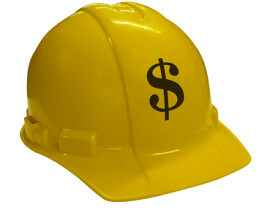 Many builders and contractors offer builder’s risk insurance as part of their contract. Homeowners are still paying for the coverage indirectly, of course. Therefore, it may be better for a homeowner to buy the policy. That helps them control the costs and coverage. It may also help ensure fast and complete claim payments directly to the homeowner rather than through the contractor. A builder’s risk policy may be available as a rider on an existing homeowners’ policy. Keep in mind that builder’s risk insurance includes coverage that typically would not be included in a homeowner’s insurance policy. Moreover, your homeowner’s insurance policy may not apply at all during a remodel if the policy requires continuous occupancy of the property. On the other hand, it may be cheaper and easier to accept the contractor’s offer to carry the builder’s risk insurance. Your contractor may have a bulk discount and a standard policy, so you as homeowners don’t have to sift through the maze of terminology and options. Builder’s risk insurance is an important part of any major construction or remodeling project, and homeowners should consider carrying their own policies.